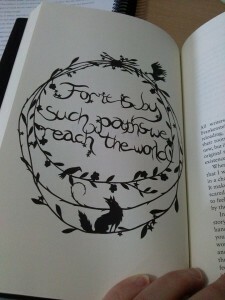 So, I’ll do a giveaway of Bitterwood soon, but first Kathleen has been designing some tote bags for the competition as well. Now that I’ve seen the designs, I want ALL OF THE BAGS FOR MYSELF. 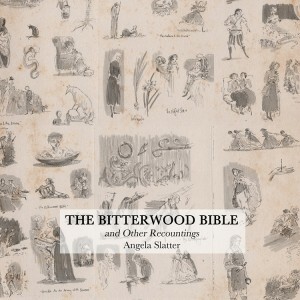 Alex says some lovely things about Bitterwood. 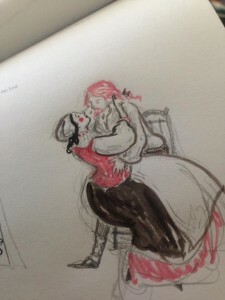 Kathleen and I are now working on this project (in between other projects), a graphic novel version of Sourdough and Other Stories. This means she’s started sending me test art by text message again, which makes me very happy. 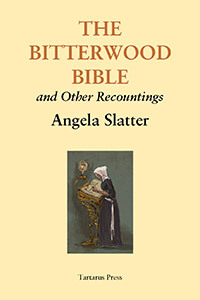 Sean Wright has kindly reviewed The Bitterwood Bible and Other Recountings over at Goodreads. 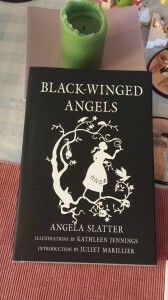 And in today’s mail are my beautiful author copies of Black-Winged Angels from Ticonderoga Publications. Huzzah! 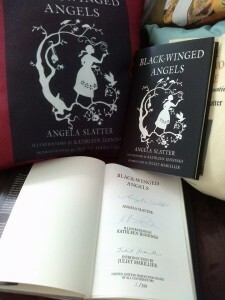 Black-Winged Angels in the wild! 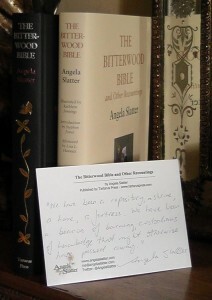 September 22, 2014	| fairy tales, News	| Comments Off on Black-Winged Angels in the wild! 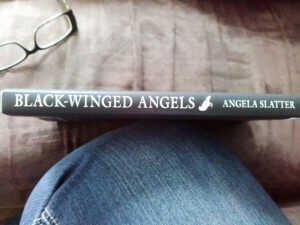 The first sighting of my limited edition reprint collection, Black-Winged Angels, from Ticonderoga Publications has been made! 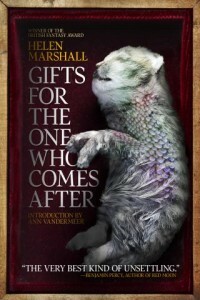 Art by Kathleen Jennings and Introduction by Juliet Marillier. The wording bits by me. Suspended in Dusk is out! 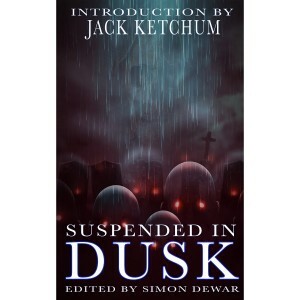 September 16, 2014	| News	| Comments Off on Suspended in Dusk is out! Suspended in Dusk has been released into the wild with a brand new cover. 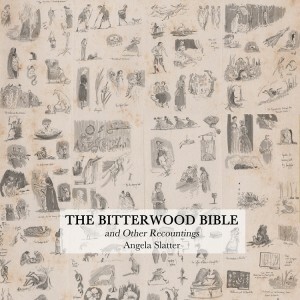 It’s available from here and here. 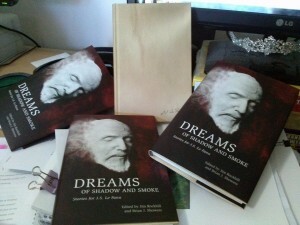 Simon Dewar and Books of the Dead have done a very nice job indeed.